I have a high poly model and I want to shift the resolution down. I know about baking textures, but I was wondering wheter this is the best solution. I don't need to capture all the details. 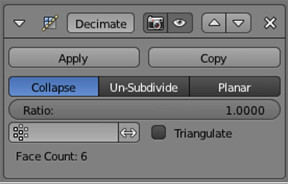 There is a function in zbrush that does this (you can choose how many percent of the polys that you want to keep), that shifts the resolution down but keeps most of the forms. It only tweeks it a little. Your best option is to use the Decimate modifier. It allows you to control how much of your mesh your want to reduce. Not the answer you're looking for? Browse other questions tagged modeling texture-baking baking sculpting or ask your own question. How can I keep vertex color accurate on a voxel model thats been converted to a lower poly model?